We also have a house in Speyside, for details visit Easter Duiar. 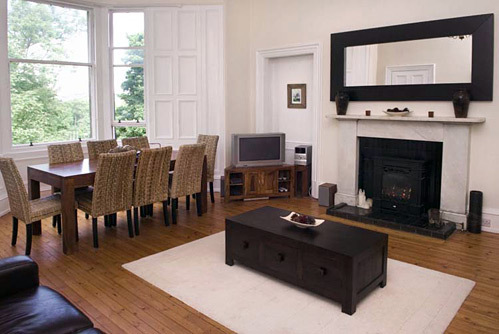 Our 4 bedroom Edinburgh luxury flat offers apartment accommodation year round for groups of up to 8 people. It’s an ideal place to stay in Edinburgh for the festivals, cultural events, 6 Nations and International rugby at Murrayfield, Hogmanay and Christmas and for holidays to Edinburgh throughout the year. Please check our availability page for booking accommodation in Edinburgh in our luxury holiday flat.